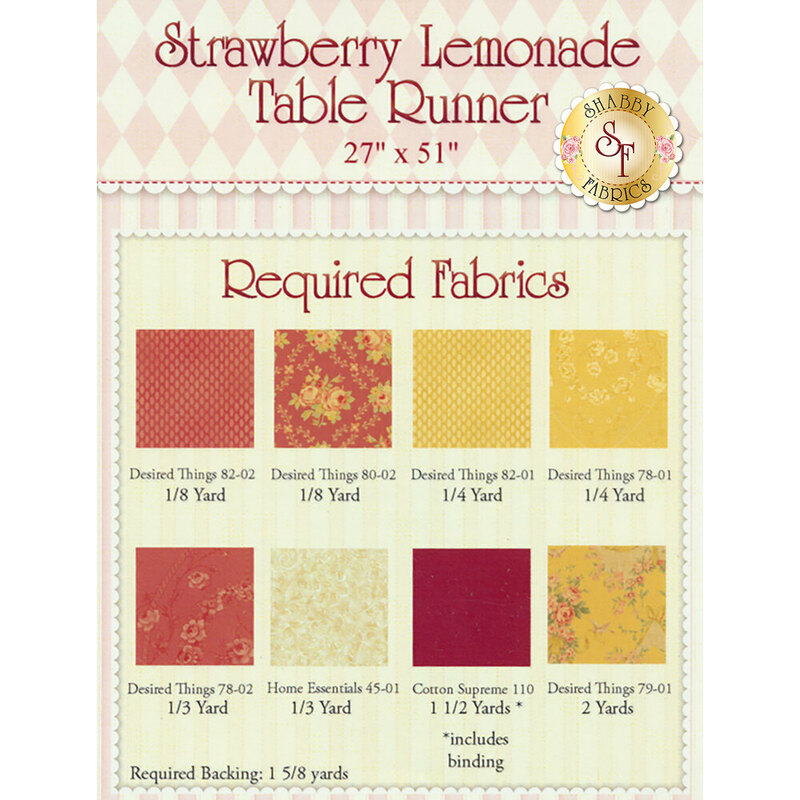 This bright and cheerful quilt designed by Jennifer Bosworth for Shabby Fabrics is called Strawberry Lemonade. This pretty quilt features three different block designs and a scalloped border in shades of pink and yellow. Finished size is 84" x 84".